The North East Regional Health Authority (NERHA) has expanded phlebotomy services at the St. Ann’s Bay Health Centre. The additional services include complete blood count (CBC), liver function, and glucose tests. NERHA Regional Medical Technologist, Dorrett Martin told us that the changes have been implemented to improve service delivery and efficiency. “The main reasons for the changes are to increase access to services; reduce the cost to patients; improve the turnaround time for results that are needed for diagnosis, treatment and care of patients; and to reduce the patient burden on the St. Ann’s Bay Regional Hospital,” she explained. 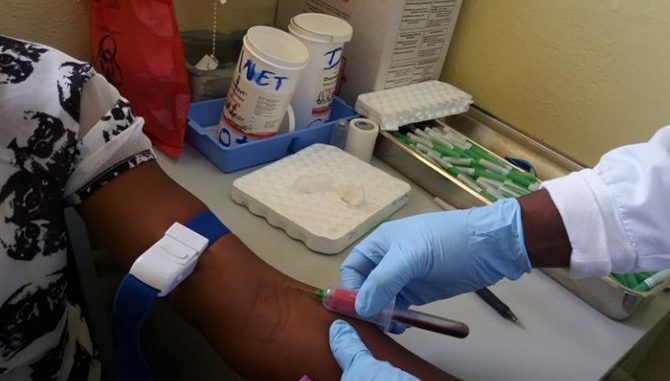 She added that the expanded service has provided a significant boost to the quality of care provided at the health centre as previously, laboratory services were limited to tests done for sexual transmitted infections (STI’s), antenatal and family planning clinics. St. Ann’s Bay Health Centre is a type five facility that serves a population of approximately 60,000 with full-time medical, dental, laboratory and pharmaceutical services. Over 25,000 patients accessed laboratory services from January 2017 to July 2018. The phlebotomy services are available at the laboratory (Room 3) on the main clinic building. Public samples are collected on Mondays and Fridays from 8:30am – noon.